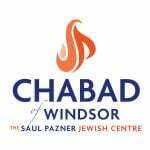 At Chabad Jewish Centre of Windsor every individual counts! Chabad Jewish Centre is supported solely by donors such as yourself and all funds you donate to Chabad Jewish Centre are used to fund local programs and directly benefit the local community. Chabad Jewish Centre is a Registered charity and all contributions to it are tax deductible.